Sitting roughly 18 miles north of Detroit, Shelby Charter Township is considered one of the fastest growing communities in Metro Detroit. It’s home to more than 76,000 people and continually expanding. 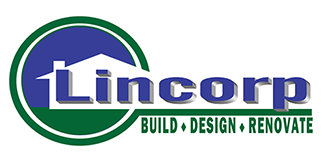 Shelby Township is located half a mile from Lincorp/Borchert’s showroom. Being so close to the showroom, we naturally spend a lot of time doing remodeling projects there. To learn more about the area please visit the Shelby Township website here. 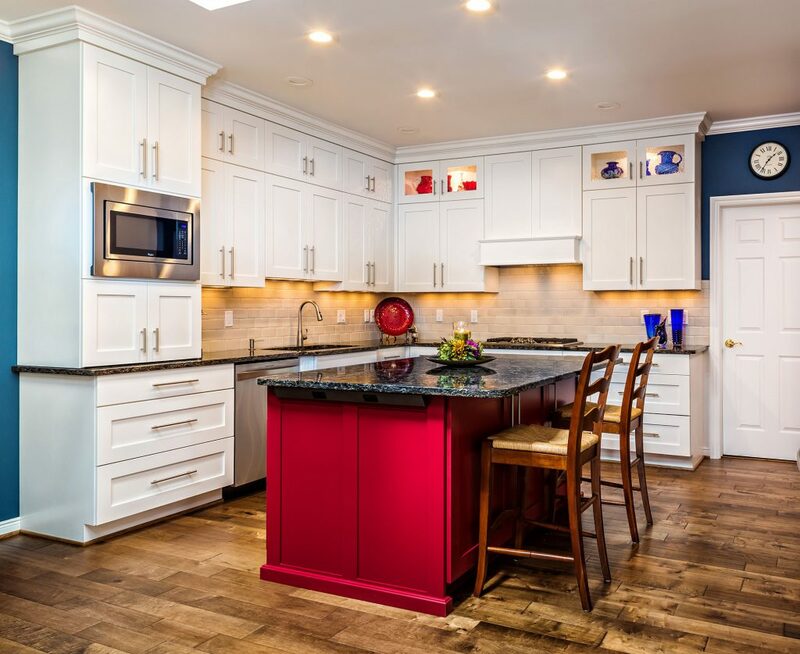 The above picture showcases a Shelby Township kitchen remodel where we put in white shaker style cabinets, a beautiful wood floor, and a red island that adds a flash of color that sets this kitchen apart. 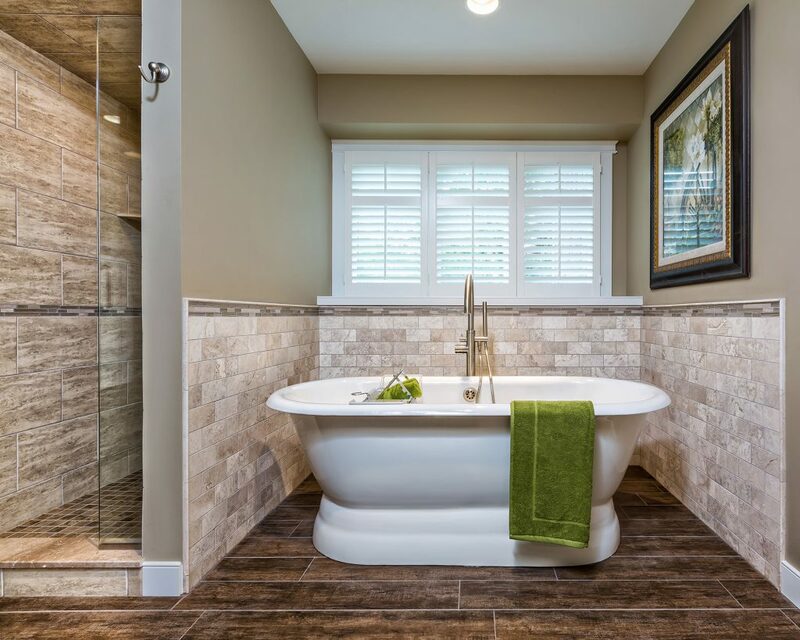 The picture that follows shows a Shelby Township bathroom remodeling project of ours. We got rid of a dated and bulky bathtub that took up way too much room and replaced it with the beautiful free-standing tub that you see here. We also tiled the floor with a wood-looking tile and sectioned off an area for the shower. This bathroom truly is stunning.